What is the Code for Replacing Fire Alarm Batteries? It is common knowledge in the fire alarm installation industry that fire alarm batteries are to be replaced typically within 4-5 years from date of manufacturing. What you will commonly notice with companies is a lack of experience resulting in dead fire alarm batteries. Most fire alarm technicians will simply take a label maker or Sharpie and write down the installation date on the backup fire alarm batteries. You may ask yourself, "What's wrong with this?" The answer is simple. As stated above the the fire alarm batteries must be replaced with 4 - 5 years from date of manufacture. If you write the installation date on the batteries then you are not noting accurate information. The reason for this is that there is no telling how long those fire alarm batteries sat in your warehouse or even the manufacturer's warehouse. What's the Correct Way to Note the Battery Date? Fire Alarm Back-up battery manufacturers are stamping the fire alarm batteries with the month and year of manufacture. This is the date that you want to mark down. The fire alarm battery pictured above is manufactured by Power Sonic and has a date tamp of 10194-H on it. I wont go into too many details about battery date codes as I have another files to assist you with this. The code of 10194 = the Month (10) the Day (19) and the Year (2004). 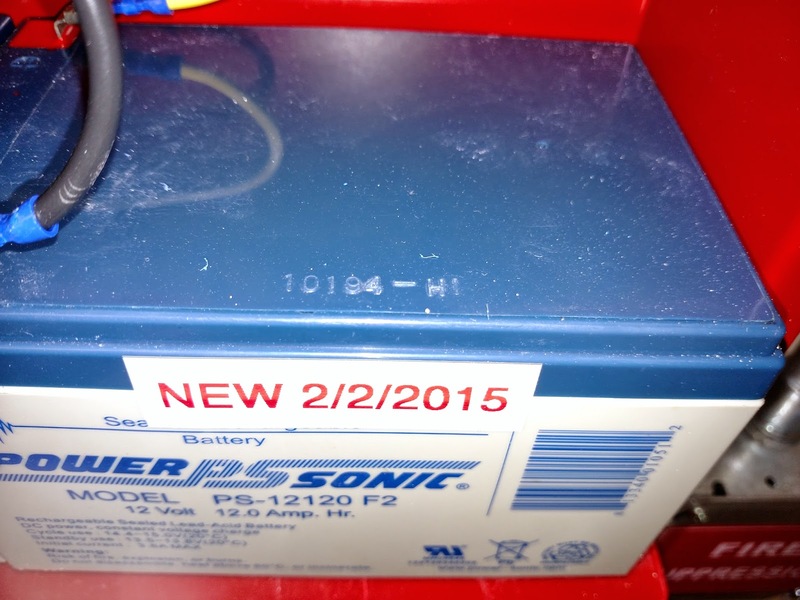 So as you can see by a technician labeling the batteries new on "2/2/2015" throws things off a bit. 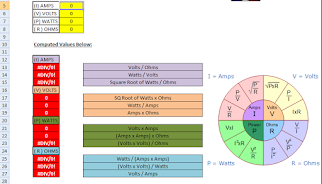 If you want to download our multi-tool with voltage drop calculations, battery calcs, dB loss and battery date codes, click here. Table 14.4.3.2 #9 Fire alarm batteries shall be replaced in accordance with the recommendations of the alarm equipment manufacturer or when the recharged battery voltage or current falls below the manufacturer's recommendations. 10.6.10.1.1 When the fire alarm batteries are not marked with the month/year by the manufacturer, the installer shall obtain the date code and mark the batteries with month/year of battery manufacture.